Yesterday, we launched #AdvanceEquity, a new digital dialogue series about equity, inclusion, and social impact. 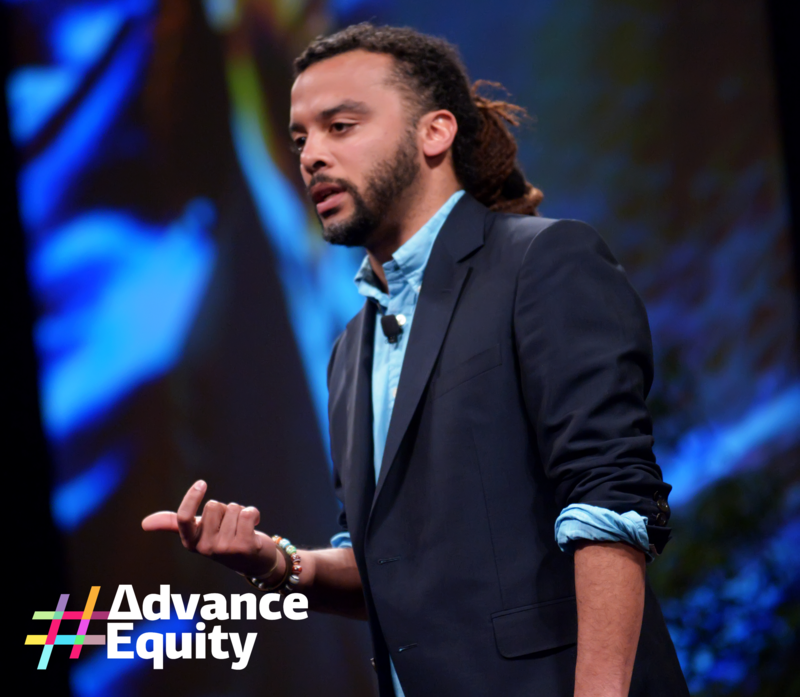 #AdvanceEquity is a digital build-out of the rich and provocative conversation that was started at New Profit's Gathering of Leaders in March (VIDEO). Throughout the series, we'll be highlighting the stories of people and organizations that are fearlessly pushing the boundaries to break down systemic barriers to opportunity in America. Today's installment of #AdvanceEquity is about Adam Foss, a 2016 Gathering of Leaders speaker and former prosecutor in Suffolk County, Massachusetts who just launched a new organization called Prosecutor Integrity that aims to change the way prosecutors think about punishment. Given the enormous power prosecutors hold in our justice system, Foss' work could powerfully boost the movement to reverse racial and socioeconomic inequities and end mass incarceration in America. That's why Grammy Award-winning singer and activist John Legend, another New Profit partner and supporter, and others have come out in support of the new initiative. Foss was a new juvenile assistant prosecutor in Roxbury District Court in 2009. Christopher was a kid who had cooked up a harebrained scheme to rip off 30 laptops from Best Buy and sell them on the Internet. Believe it or not, he got caught. And on the morning he was to be arraigned, Foss had to decide what to do with his case. “At the risk of sounding dramatic, at that moment I had Christopher’s life in my hands,” Foss told an audience in a TED talk last February. He discovered that Christopher was a high school senior who dreamed of going to college. In other words, he was a good kid who’d made a dumb mistake that threatened to tarnish him for life. Instead of charging him with 30 crimes, Foss agreed to a deal that left Christopher without a criminal record. Most of the computers were recovered and returned to the computer chain they had been stolen from. Christopher also made restitution and served community service, but got out of the case without permanent damage. “I didn’t think branding him a felon for the rest of his life was the right answer,” Foss said. But for Foss, proof that he is on the right track came last summer. He was at an after-work social event when a vaguely familiar young man walked across the room. He hugged him, and thanked him. It was Christopher, who is now working in banking. We're committed to advancing equity through criminal justice work, teaming up with and supporting organizations like Roca and the Massachusetts Juvenile Justice Pay for Success Initiative. Our founder and CEO Vanessa Kirsch highlights the importance of these partnerships in her reflection on the Baltimore protests in May last year. Adam Foss and our network of partners inspire us to maintain this dialogue at a time of heightened national consciousness about the importance of equity across sectors. Join us by sharing your own thoughts, stories, and work with #AdvanceEquity.